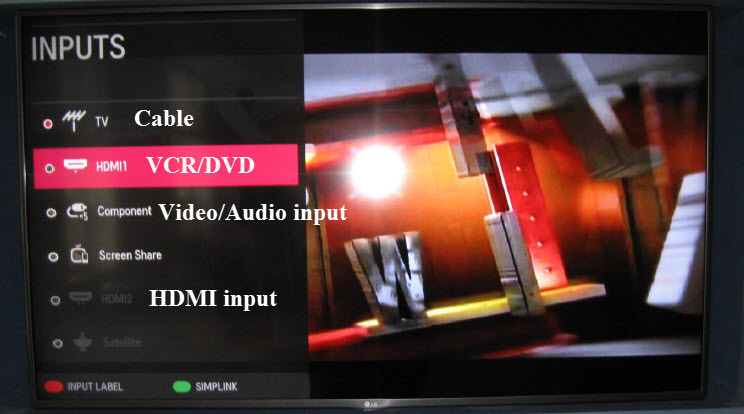 Technology Instructions for Residence Halls' Lounge TVs. If you experience any problems, call ext. 3333 or e-mail the Help Desk at mediaservices@etown.edu. Please visit our Web site at http://www.etown.edu/ITSfor additional information. Step 2: Turn the TV On with the remote. Step 3: Press the input button to bring up the menu. Step 4: Select the desired input. Step 5: Turn the TV off with the remote when you are finished. Step 6: Turn off the rack with the power button in the bottom corner again. 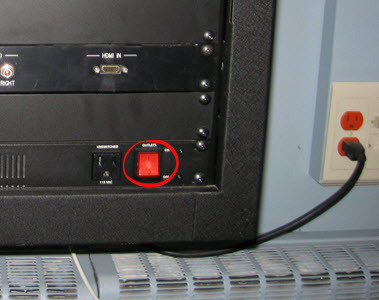 Blue power button on the left, red power button on the right.